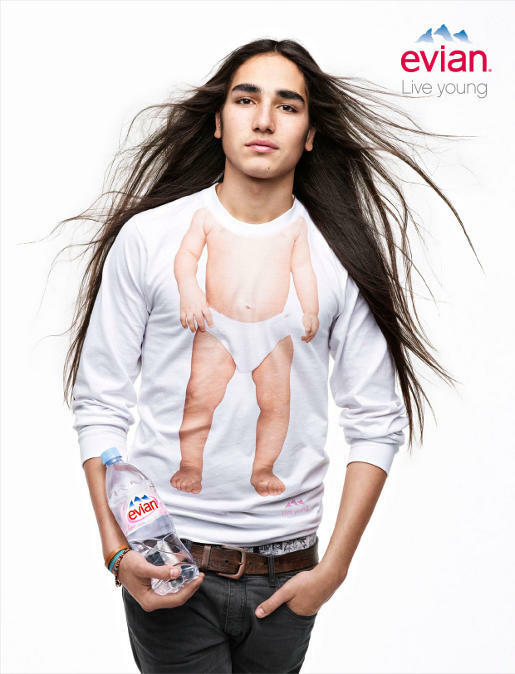 Evian is rolling out a print and film advertising campaign designed to flow on naturally from the world famous “Rollerbabies” campaign. Eight portraits by fashion photographer Nathaniel Goldberg show adults wearing t-shirts with the screen printed image of a baby’s body, giving the impression of what they looked like as babies. Each carries a bottle of Evian. 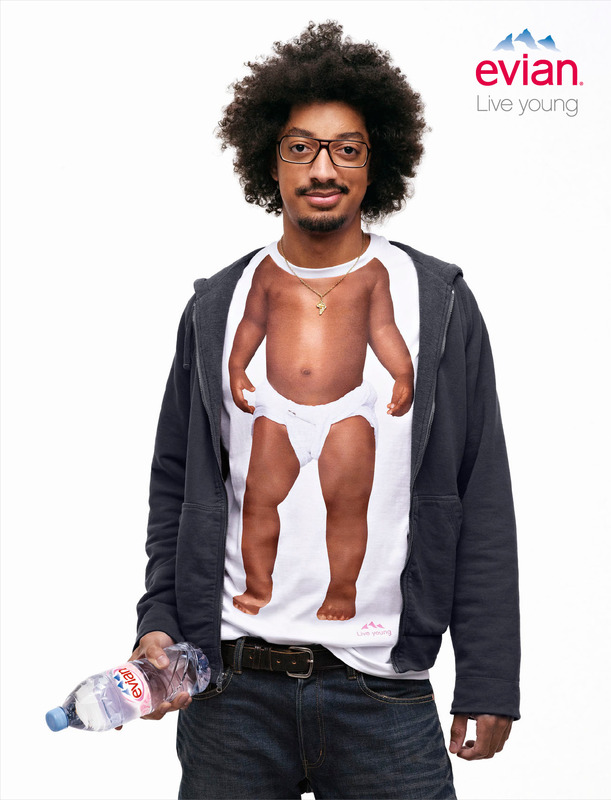 The “Live Young” strapline, strengthens the message of the Rollerbabies film by symbolising the effect of evian on the bodies of adults of all ages. The stars of the campaign are not models, but real people, actors chosen for their strength, their authenticity, their freshness, their diversity and their singularity. The creative stance adopted expresses their true nature as opposed to onstructing artificial characters for advertising purposes. 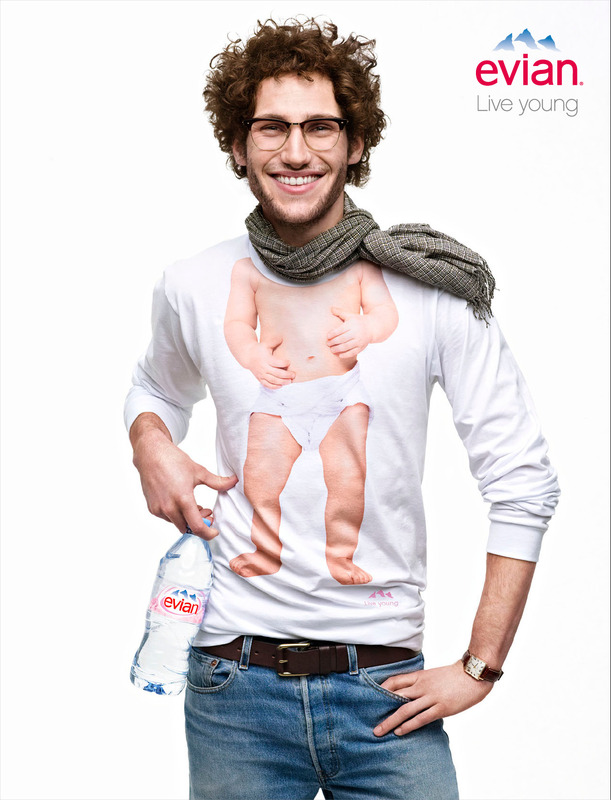 Each model carries their bottle of evian in their own unique way, wearing their own clothes and jewellery, their individual style and their personality embodying the new strap line of the brand: “Live Young”. The “Baby Inside” campaign was commissioned by BETC Euro RSCG Paris. The campaign was launched this month in Singapore, Thailand, Australia and Russia, will be released in China, Dubai and Qatar in April.